Happy New Year! Time to face those New Year’s Resolutions head on! It’s a brand new year and that means it’s time to set some New Year’s Resolutions! Perhaps 2019 is the year to remodel the bathroom. Or perhaps it’s the year to organize and minimize your storage spaces. Or perhaps 2019 is the year you finally give your home’s interior a fresh new makeover with some new custom window treatments. New Year’s Resolutions can be hard to see through to completion, so we have put together a few tips to help you get going on the right track. Everyone needs a little inspiration to get them started. So here we go! The experts concur that the best way to ensure you complete your goal is to have a plan in place. 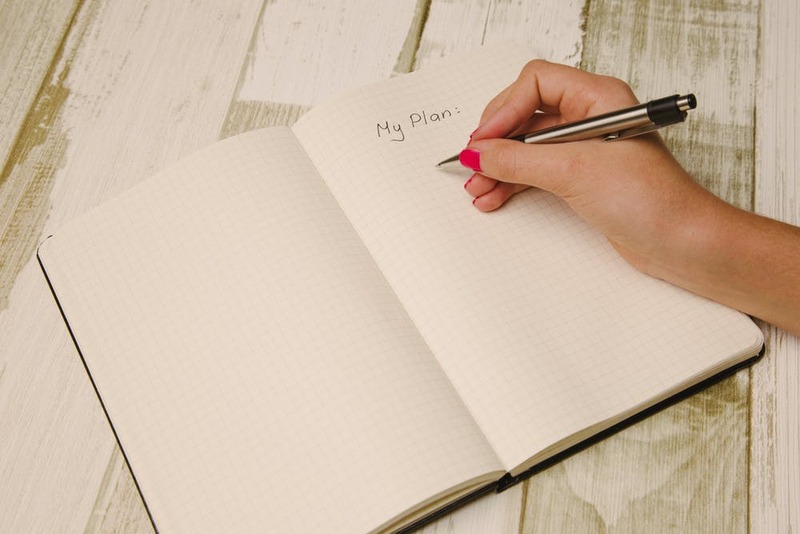 Setting a plan holds you accountable and gives you scheduled deadlines to meet. Planning ahead also helps you avoid mistakes that could end up costing you both time and money. One of the best things you can do as you start to plan for your home improvement project is to create a timeline. The timeline acts as a roadmap that will guide you through your project from start to finish. The first draft of your timeline will most likely see some revisions and changes, but don’t let that discourage you from putting something down on paper. It is much easier to tweak something that has been written down than trying to make adjustments to a plan that exists only in your head. What is the primary goal of this project? When starting a timeline for a project, it is important to ask yourself “What am I looking to accomplish?” It is important to consider what your primary goal is so that you can be sure you are addressing those aspects first and foremost. Is my primary goal with my window treatments to address privacy concerns? Am I looking to increase light control or temperature control with new window coverings? How important are the aesthetics of the new window treatments to me? When it comes to window treatments, assessing your needs is one of the first things we will ask you to do. Here is a list of factors that our expert design teams always assess when coming into a new space. Is this a seasonal project? Consider the weather! Something that often gets overlooked when planning ahead for a project is the seasonal elements. Is this an indoor or outdoor project? If this is an outdoor project, then it is probably best to start this project when you know the weather is going to be accomodating. There is nothing worse than having your finished product delayed due to inclement weather. Even interior projects can be affected by the weather. If large materials are going to be delivered to your home, will they be protected from rain, hail, or snow? If you have crews of workers coming in and out of your home, weather may affect where they set up their workspace as well as how quickly they can complete your project. Weather can play a big part in your plans, so it is always wise to consider the seasonal nature of your project. Is this project time sensitive? Deadlines are a crucial part of any plan. While deadlines can help you stay on schedule, some projects are intended for a specific event. Perhaps you want to revamp your outdoor patio for a summer wedding? Or perhaps the entire family is coming to your house for Thanksgiving dinner? Those are specific deadlines that can not be moved to give you a little extra time and, therefore, must be planned for accordingly. Be sure to allow for enough time to complete your project and have some time allotted to all the finishing touches that you will want to add. Sometimes a space needs to be lived in before you can truly know how best each part of it functions. You will want to have a little extra time to adjust and tweak those final details. Is this a Smart Home project? Connecting everything in your home is all the rage these days. Everything has the ability to be connected to your phone or other devices. It is important to take into consideration the compatibility of all of these options if you are looking to have a connected home. Be sure to allow yourself some extra time to become familiar with the new technology of your connected home. Technology is a great tool for every home, but it is important to take into consideration the learning curve that comes with these new features. 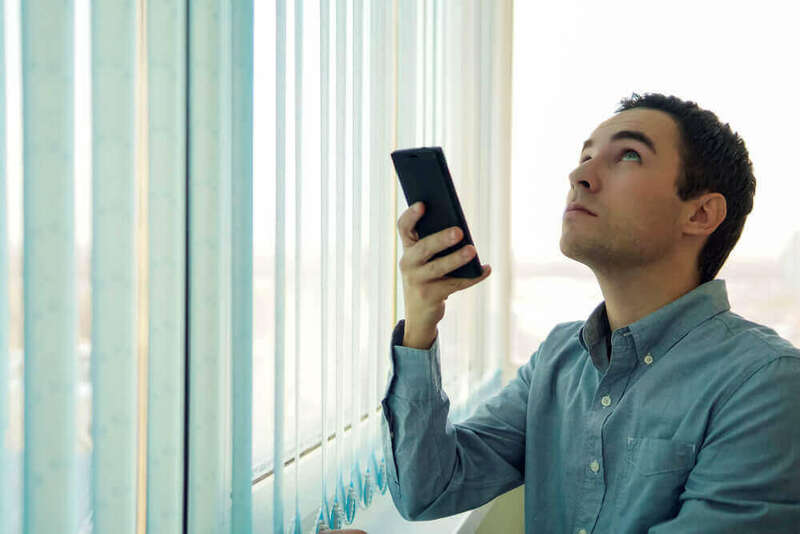 There are many options for window treatments that can be motorized and connected to your devices to make your home a Smart Home. It is important to know what options are available so that you can make an informed decision. To see the capabilities of these technological options, check out the Gotcha Covered Connected Home. Is this a DIY project or should you hire a professional? Little projects like hanging artwork or adding decorative pieces to a room are easy to do yourself. Tackling bigger projects such as painting a room or hanging new window treatments are a little more time intensive and that is where it truly pays to bring in a professional. Their experience and expertise will ensure that the job is done properly the first time. Planning ahead for a DIY project will require fitting in the time it takes to prepare, purchase and complete the project within the framework of your own weekly schedule. Planning ahead for a professional may take a some of your time upfront, but then you should be able to sit back and watch the project come together quickly and efficiently. Once you know how you intend to proceed, you will be able to see what time commitment will be required. Once you have a timeline created for your project, you can start to set a budget. The budget is a fundamental part of the planning process. It is important to get a sense of what this project is going to cost so you can make informed decisions. Here are some key elements to consider when setting your budget. How much will this cost to DIY vs. hiring a professional? Research is an important part of budgeting. Before deciding whether you are going to do the project yourself or hire a professional, take some time to research the cost of both options. While at first it may seem more cost effective to do-it-yourself, the original estimate of a DIY project may not include all the little surprises that can pop up along the way. Hiring a professional may seem more costly at first glance, but getting quotes from professionals can help you gauge the actual cost of materials and time that it will take to complete the project. And many professionals will offer a warranty along with their services which will ensure that your project will be done right. Definitely get more than one estimate before committing to anything, but be sure to consider everything that comes along with their quote to make sure that you are comparing apples to apples. The big question to consider when deciding between hiring a professional and doing it yourself is “How much is my time worth?” The main difference in cost between completing a project on your own and hiring someone else is going to be how much they charge for labor. A gifted professional is going to be able to complete your project in a much more efficient amount of time - saving you the headache of trial and error. A good professional will get it done right the first time and may even offer you a warranty to guarantee their work. So how much is your time worth? For more great information on hiring a professional versus doing it yourself, check out this article from Beginning In The Middle. Hiring a professional can save you time, money, and perhaps even your sanity! But all of this is dependent upon one crucial detail - hiring the RIGHT professional. Hiring the right professional is the difference between coming home to a beautifully finished project and walking into a construction zone. Cost will not always determine the best outcome. Estimates will vary and the highest price tag will not indicate the best finished product. On the same hand, the lowest quote will not ensure the best bang for your buck. Take time to consider all that is included with the estimate. Is it a set price or could it fluctuate with the cost of materials or the length of time it takes to complete? Is there a warranty included and if so, what is covered and for how long? Take the time to get to know the company giving you the quote. Are they personable? Do they seem to genuinely want the best outcome for you and your home? First impressions will go a long way, but don’t stop there. Be sure to check reviews or ask for references from these companies. If you can find personal recommendations from your friends and family, that is a great place to start. But there are also a wide array of online reviews available for your benefit. Be sure to utilize this great tool on the internet to really get a sense of who you will be working with. They are coming into your home and you deserve to know who they are and what they stand for. Hiring a professional is a great way to ensure that your home improvement project for the new year is completed efficiently. Hiring the right professional will ensure that your project is completed without additional stress or strain on you or your living space. The right professional will get the job done right the first time and leave your home looking better than ever. And if your home improvement to-do list for 2019 includes new window treatments, be sure to reach out to us at (888) 650-6187 for a free, no-obligation design consultation. Or visit us online at www.gotchacovered.com/schedule-a-consultation to schedule a FREE In-Home Consultation with one of our design experts.